The improving growth theme gets tested again this week with data on factory orders and employment. We are expecting to see a strong start to 2017, followed by a period of moderation through the year. We expect consumption to grow at a 5% annualized rate through the first quarter with investment growing at a 10% pace. If correct, the rolling four quarter average growth rate for the overall economy will be trending near 2.5% growth (chart below). 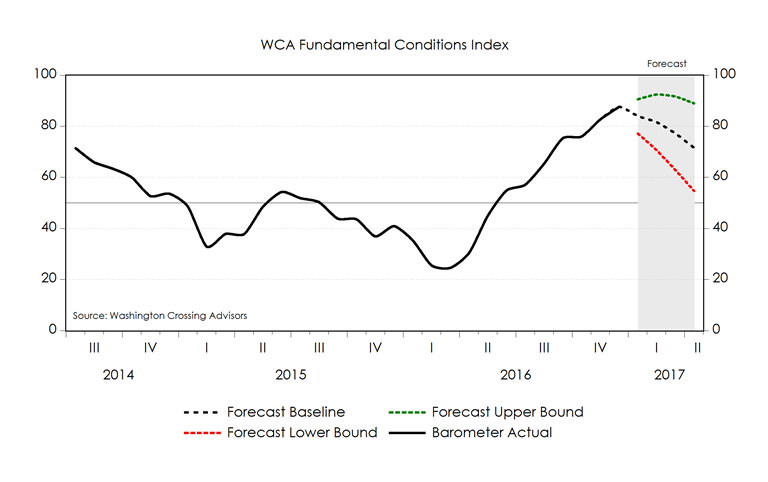 This forecast incorporates our expectation for a March interest rate hike and recent readings from our WCA Fundamental Conditions Barometer. 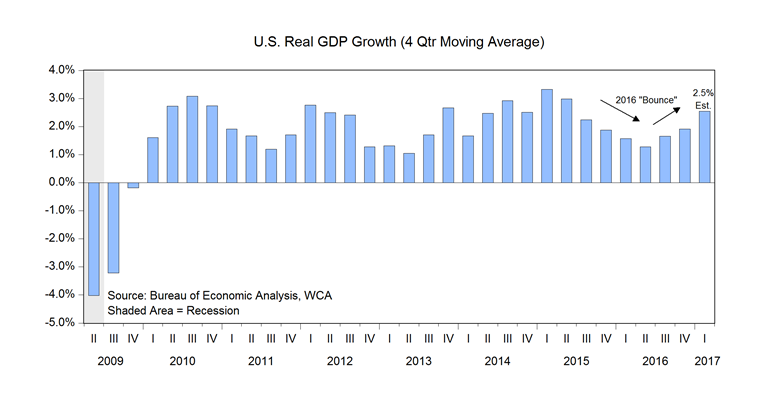 The chart above traces the progression of the U.S. real growth rate measured as a rolling four quarter rate since 2009. Note the improvement in growth seen in mid-2016. As growth picked up, so too did the S&P earnings forecast. These improved expectations justify some, but not all, of the last year’s improvement in stock prices and correspond well to changes we’ve seen in our WCA Fundamental Conditions Barometer (below). Importantly, improving growth is also evident in earnings expectations. 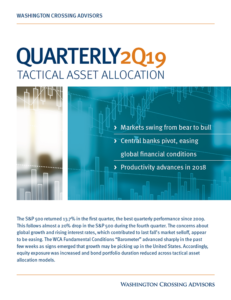 According to FactSet Research, analysts now expect S&P 500 companies to generate $133.78 of aggregate operating earnings over the next 12 months. With the S&P 500 valued at 2,383, the forward earnings multiple is now 17.8 times forecast earnings. This is higher than the market’s 10-year average multiple of 14.4 times earnings, a 23% premium. 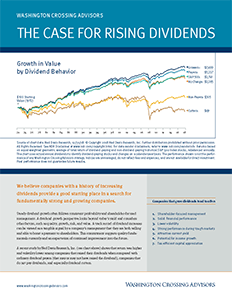 We reduce our forecasted return to account for normalization of this premium over time. With the growth and reflation story increasingly priced into markets the question is “what comes next?” In keeping with the usual dynamism of our market economy, the pace of improving growth and optimism is very likely to abate over time.